Getting hired is one thing. Getting hired over and over again is quite another. What does it to be a great babysitter? What can you do to become a parent’s “go-to” babysitter? 1. Positive reviews (from the critics who matter most!). “The real bottom line is the feedback from the boys,” says Kelli Cochran-West. Moms are happy when their kids are happy. Yes, you’re there to make sure the house doesn’t burn down, but you’re also there to make sure the kids have a good time when their parents are away. Don’t know what to do? We’ve got a list of ten activities you can do with kids when you’re babysitting. 4. Manners. “Show interest in not only our children but in holding a polite and adult conversation with us,” says Carrie E. Carroll. Being able to communicate well with the parents shows them your manners — manners which they hope you’ll model for their kids. Plus, it lets parents know you’re comfortable discussing issues or concerns they (or you) may have. 5. Punctuality. Be there when you say you’ll be there. They’re counting on you. Running late? It happens. Make sure you call and let the parents know you’ll be late — and don’t make it a habit. Also, don’t be late to the interview. “A prospective babysitter should report to the interview in a punctual manner. If a babysitter is late to an interview, [it tells me] she will be late to work as well,” says Candi Wingate. 6. Safety. Tracy Gibb says, “THE most important thing for me is that my son is safe. I look for babysitters with CPR training.” Beyond training, showing an awareness of and concern for safety is important, too. “I pay attention to babysitters that ask safety questions such as, ‘Where are your emergency phone numbers?’ and ‘How can I reach you in an emergency?’,” says Gibb. Looking for babysitting jobs, but tired of how disorganized the whole process is? 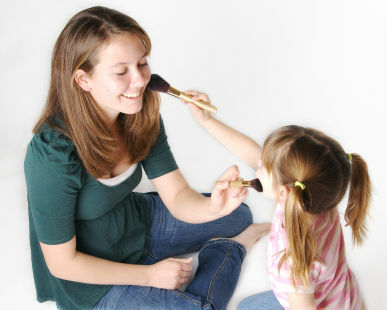 SittingAround makes finding babysitting jobs easy! This overview will help you get set up quickly, and you’ll soon be on your way to great babysitting jobs whenever you want them. My Account. After you’ve registered for a sitter account, the first page you will see is the My Account tab, which features the Dashboard, your Settings, and Billing information. The Dashboard is where you can keep up with all of your sitting activity. It’s your online personal planner! We keep everything in one place for you. You can check on upcoming jobs as well as review previous jobs. My Profile. The Profile Summary is what parents will see when they are considering hiring you, so make it as thorough as possible! You can click on “See sitter profile” in the upper right to see your profile as clients will see it. We highly recommend that you go ahead and get your free background check as well. This is a great value, as many people pay $100 or more to get these checks done. It’s easy, takes less than 5 minutes, and will make you much more likely to find a babysitting job. Just click on the link to our partner, TalentShield, and select their free option. My Availability. You’re going to love this feature! Our simple drag-and-drop calendar lets you easily flag those times when you are usually available for sitting jobs and those times when you’re not. We recommend filling in the calendar as completely as possible for the maximum benefit. Parents may hesitate to contact you if they see too many white spaces, so fill in those blocks. Made a mistake or changing your schedule? No problem! Just drag the Available or Busy block over to the Delete can. Messages. You have your own personal mailbox with SittingAround to maintain privacy. While you can opt to be notified by email when you receive messages, the messages themselves (and your identity) are secure on our site. Finding Jobs. Once you’ve got everything set up the way you want it, it’s time to look for jobs! Just click on the Clients tab at the top and then “Find babysitting jobs near you.” Enter your ZIP code and click on the Search button. You will be brought to a convenient map showing you available jobs and their locations. No jobs listed in your area? As you’ll see at the bottom of the page, you can include your Sitting Around profile link anywhere. Include your personal URL on your social networking sites, in emails, even in church bulletins or on community bulletin boards when advertising your services. Clients will appreciate your professionalism and will be much more likely to contact you for potential jobs! Let them know that they can set up a parent profile on SittingAround to make it convenient for them to contact you. Once you have clients through SittingAround, they will display on the Clients tab for quick reference. Want more information? You can always click on the Help tab at the top of the screen at any time. Read through our FAQs for Sitters to find answers to your most common questions on SittingAround. We’re so glad you have joined us!